Fractured teeth are common in dogs. 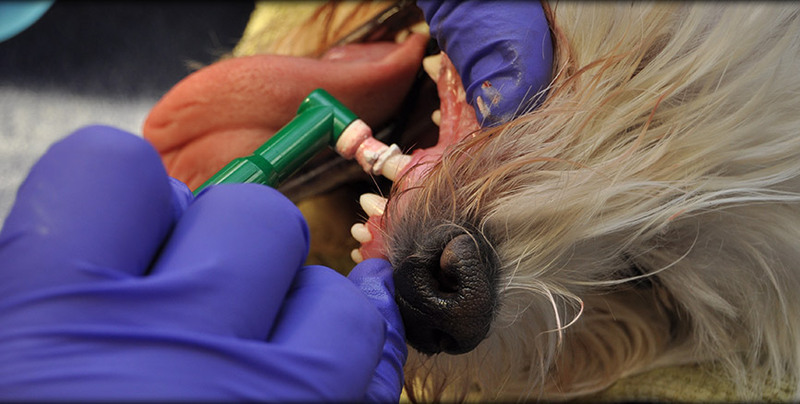 Many activities can cause a dog to fracture a tooth. For example, if they chew on hard items, such as bones or stones, they may fracture their teeth. Fractured teeth may be treated in several ways: a bonded sealant, crown restoration, root canal and crown restoration or extraction. Before treating any fractured teeth, we will place your pet under safe anesthesia and perform an oral exam and digital dental x-ray of the affected area. Once we have completed the exam and reviewed the x-rays, we will recommend a treatment plan to you. It is important that we evaluate the tooth and bone structure beneath the gum line tooth to be sure that infection is not present. Our veterinarians will recommend a tooth extraction if they feel your pet will benefit from the extraction. If extractions are indicated, we use pain medication before, during, and after the extraction(s). Our patients go home on a soft diet while the tissue at the extraction site heals and complications are rare. Before we treat the tooth with the sealant, a dental x-ray must be taken to make sure the tooth is not already infected. If an infection is visualized on the x-ray, a root canal must be performed. We may recommend a crown restoration for the tooth as well, depending upon the health of the tooth. For fractures with an exposed nerve (a complicated crown fracture), there are only two ways to treat the tooth: root canal and crown or extraction. 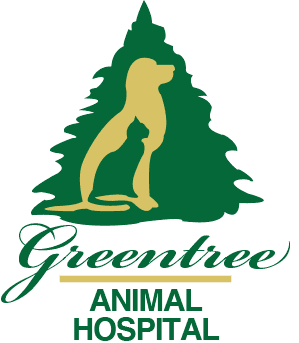 At Greentree Animal Hospital, we are equipped to handle partial restorations. However, if your pet requires a more complicated procedure, we will refer your pet to a local, board-certified veterinary dentist.